Many people criticize Congress Party for it's dynasty rule, saying it is a private property of Nehru-Gandhi family. But, Non-Congress Members do not have any right to criticize the structure or dynasty rule in Congress Party. It is their internal matter, and Congress Members should worry about it, and not outsiders. Nehru-Gandhi family is controlling like it is their private property. It is because, the members of the party have given complete rights to them to control it as a private property. That's why, they are controlling like that. Even while selecting a Chief Minister, all the MLAs take resolution that, they are giving the full power to the high command to select the Chief Minister. If we consider Democracy as respecting majority people's opinion, in Congress, majority people's opinions are respected. Nobody nominates against Sonia Gandhi for Congress President's post. It means, democratically, she became the president of Congress. If people say, nobody nominates out of fear, that is meaningless. To become a president, they need to have 50% of the supporters (assuming there are only two contestants). When they have half of the supporters, there is no need to fear. However there are many things behind this. Let's suppose, if a person is supported by 90% of the people, then many people would not prefer to fight against that person. From the career's perspective, if somebody is going to surely win, then it would be better to support that person to get some advantage. In this case, it was clear for everyone that, Sonia Gandhi would win anyway. Everybody wants to have proper relationship with her, and do not even bother to file nominations against her. Another thing is, if there are significant no.of members against Nehru-Gandhi family, cannot they expel that family from the party? 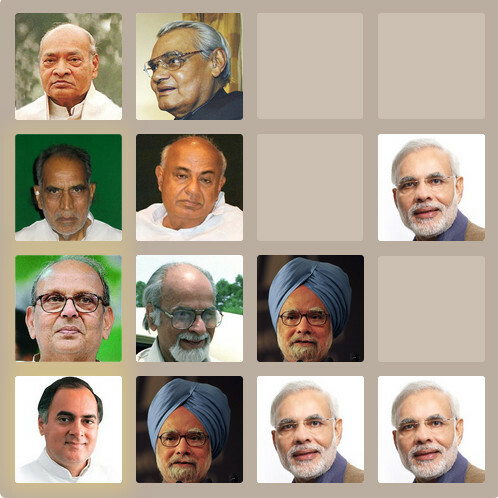 Couple of years after Indira Gandhi became Prime Minister, the party got split into two. The other party disappeared later on. In 1977, after the lose in the elections, then president of Congress Party Kasu Brahmananda Reddy expelled Indira Gandhi. Then, she started her own party Congress (I). Later on the original Indian National Congress party has disappeared, and Congress (I) is renamed to Indian National Congress. Even if the present congress members are successful in expelling Sonia and Rahul Gandhi from the party, they will start their own party and the original party would disappear, and their party only will survive. The reason behind all this is, people are voting for Nehru-Gandhi family, and not to Congress Party. That's why, it became private property of that family. If you don't want Nehru-Gandhi family ruling the country, tell the people not to vote for them. Anything else is of no use.